You can see the Fairgrounds and Golem Tower. 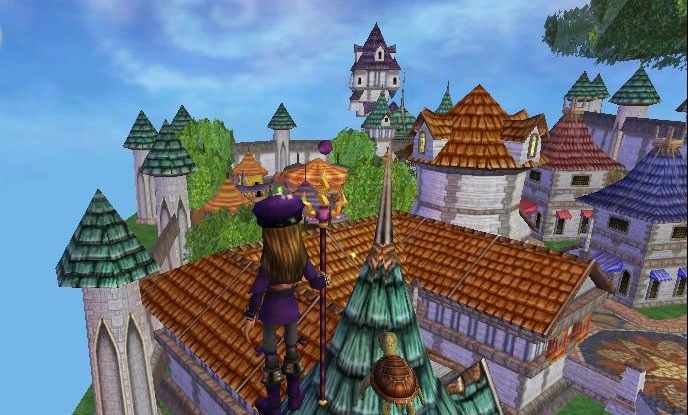 Pretty awesome view of Ravenwood. Hi Bartleby! Another view off to the right, where the Pet Pavilion entrance is. So this is above the commons, over the entrance to the Shopping District. Very cool, if you ask me. I know there are other glitches like this. I have been on the island outside of the Pet Pavilion. There is also one in Olde Town I believe. Comment below and tell me if you know of any others. I will try to get pictures from the others I know of and post them! I'm sorry. I don't know anyone who knows how to do it. I ported to someone who was already up there.